After crossing into Argentina, I was surprised at how flat it was. Adam reminded me that we were still up in the altiplano at over 3000 meters above sea level, and it was somewhat premature to expect immediate change as soon as crossing over the border. It was still pretty cold and windy, as well, and by the time we reached Tilcara, we were pretty wind-blown, tired, and hungry. It was a small town, although a bit high-end and touristy, with a history steeped in archaeology, and another town claiming to be The Cradle of Humanity. Hosteria Inti Tampu. Affordable (at least in the off-season) and very nice. Fancy hotels and upscale restaurants lined the streets and we were pretty skeptical about finding a place to stay within our budget. We ended up at Hosteria Inti Tampu, a place a few minutes walk outside of the main town area, with large grounds and ample parking. Our room was one of the nicest of the trip and a really great bargain at AR 200 (USD$20). We requested a matrimonial room and got a 2-bedroom, 5-bed (1 double, 2 sets of bunks) room with kitchenette and private bath. There was even hot water in the sink and a bidet. The shower had hot water, and we were also provided with soap and 2 towels each! There was even a heater in the room. I felt like we were at the Ritz, and I didn’t ever want to leave. Dinner was at Restaurant Azul. Simple but fantastic. We had Napolitano for two. Basically it was a beef milenesa, a breaded piece of thin beef, pan-fried (basically, a schnitzel) topped with a layer of tomato sauce, thinly sliced ham, and melted cheese, with herbs and spices. 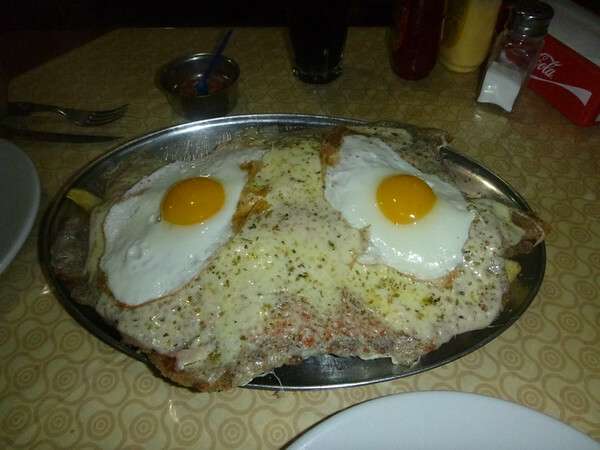 It was served over bed of delicious french fries with two fried eggs on top. It was delicious and filling, and about $8 for us both to eat. The town was quaint and nice and I wanted to stay longer but our schedule didn’t really afford us for too many stopovers. 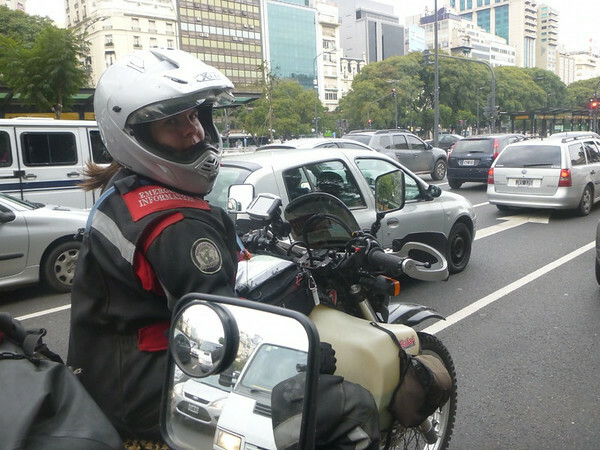 After our extended stay in Sucre, we were on a tighter time frame to make it to Buenos Aires in time for the bikes to be shipped. The owners of Dakar Motors, Sandra and Javier, were slated to go on vacation on July 6th and instead of waiting another three weeks for them to return, we wanted to catch them before they departed. Our experience of Tilcara was at night, but not such a bad thing, since our experience in Latin America is that most of the activity happens at night. 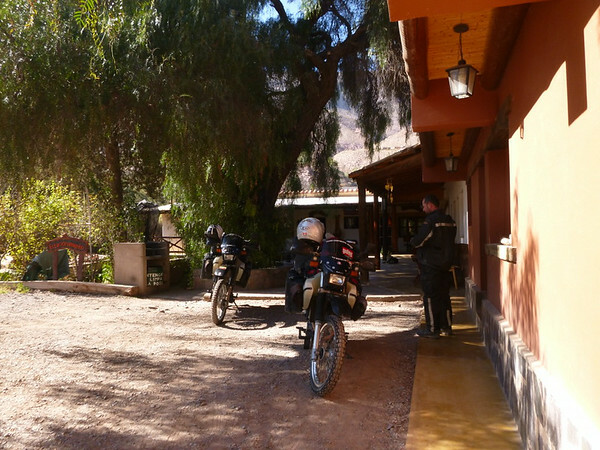 After a quick breakfast in our room we were off in the morning towards Jujuy to get insurance for the bikes. It was easier than we thought despite bad coordinates in the GPS, and some cold rain on the highway. For about USD$8 each we were able to insure the bikes for one month, and continue the ride with the secure knowledge that we wouldn’t be hassled by the police if they should choose to pull us over and request proof of insurance. 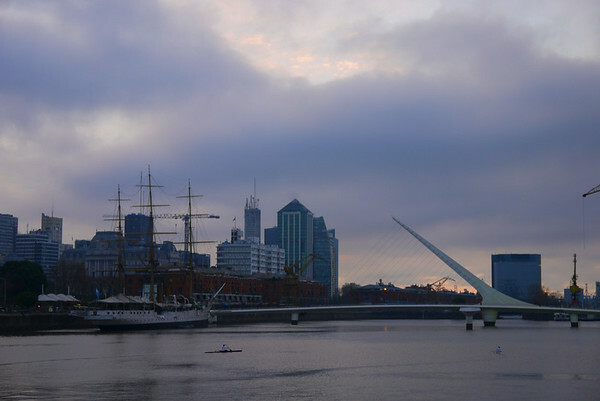 While insurance is required in Argentina, and probably enforced, the process is not made easy – with no easy way to buy it remotely, or at or near the border. Stuffing the bike through the corridor. Salto was a bustling city with plenty of places to stay but none with parking. Scratch that. None within our budget with parking. There were many upscale places, multiple storey luxury hotels that didn’t really suit our needs. We eventually ended up at Hostel Andino that proved to be an interesting challenge for our parking needs. While they didn’t have a parking lot or courtyard, the guy on staff was more than willing to help us maneuver the bikes in through a narrow doorway, down a hallway, and through an even narrower doorway into the common living room area of the establishment. It was so close that Adam measured the width of the bikes, not once, but twice with a makeshift measuring unit (USB cable). We have been making it a point to research a few places to stay ahead of time, but Salto was an exception since we weren’t sure as to where we would be getting our insurance. We have stayed at better places for USD$22. Once inside (having removed our cases and a door) the place was a bit of a disappointment, but with so much effort getting the bikes inside, we were sort of trapped in our decision. It was also pretty cheap. While our room was big and on the main floor, it smelled pretty musty and wasn’t really very clean. Insect corpses on the floor turned out to be dead wasps, to soon be joined by one or two live ones that crawled in through the ceiling vent in the bathroom. Sometimes, as I have discovered, it’s better to not have the bathroom in your room. The bed wasn’t made, and while there was warm water in the sink and I was assured that there was in the shower, as well, I decided to skip the shower for the evening. For those of you who know me, a bathroom has to be pretty bad for me to skip my evening cleansing ritual. This one was just that bad. On an interesting note, the toilet was one of those German style jobs with the two compartments – one for the examination of waste, and the other to where it is washed away. But it was also quite chipped, rusty, and stained. A total ten on the ‘ick’ scale. Somehow we got a photo of this church in daylight. We ate dinner at a pizza restaurant on the main square where we watched some of the World Cup game between Cameroon and Croatia. While Bolivia and Peru were still milking the benefits of having the 2014 edition of the Dakar race, which was seemingly the new national past-time, Argentina had long since moved on to World Cup fever. We were hard-pressed to find one shred of evidence that the Dakar Rally even went through here, in contrast to Bolivia and Peru where t-shirts are still for sale and almost every car and establishment had a Dakar sticker in the window. Giant television screens in the main square were crowded with spectators watching the game. After a poor sleep it was off for a long day of riding under grey skies and heavy mist. Not to mention cold. We were headed for Tucuman, a large city a number hours south. Along our route, we officially said goodbye to the Andes mountains, and reached sea level once again. After travelling with the mountains for more than four months (since Colombia) it was both sad and happy all at the same time for me to watch them disappear in my rear view mirrors. I can remember feelings of apprehension about riding amongst these mountains, and how scared I was of switchbacks and steep grades. At times I am still a little nervous, but feel that my riding has come a long way since those (old) days. I felt sad to think that our journey was almost over, but also felt happy as we were now on the road home. It had been a long trip, and as I watched the Andes grow smaller and smaller, I was feeling conflicted about it ending. 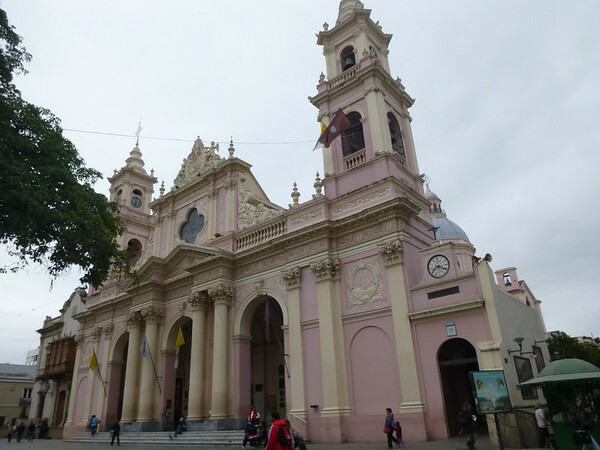 As we neared Tucuman, we decided that neither of us particularly wanted to stay in a giant city, and stopped at Termas de Rio Hondo, a small city known for its thermal waters that are said to have healing properties. They also had a very nice promenade along the river, and an Autodrome, which hosted the MotoGP race this past April. It wasn’t difficult finding a hotel, as many of them had cocheras (parking lot), and we easily found one with our bikes parked right outside of our door. We also had to change some US dollars for Argentine pesos, which proved to be a bit more of a challenge but eventually were able to do so at one of the casinos in town. It took a few tries since the exchanger wouldn’t take any bills that were folded, torn, or had any marks (what-so-ever). Our hotel, Hotel Candela, was on the main drag, and across from one of the town’s many parks. The room was big and very clean, and even had a bathtub. The clincher, and the feature that made me want to move into the hotel, was the thermal waters that were pumped into the bath water. Oh. Yes. There was even a heater in the room, not that we needed it too badly since we were now out of the mountains, but turned it on anyway just for the novelty of it all. People in town were very cold (it was winter after all!) dressed in sweaters and jackets, but we were relishing the warmer temperatures and sometimes went out in just a t-shirt. Our most expensive dinner in Latin America. USD$27. We got “burned” in not realizing that a salad and papas were not included in the sign that cost our attention. Taking advantage of inexpensive but very acceptable wine. We decided to treat ourselves to a nice dinner. 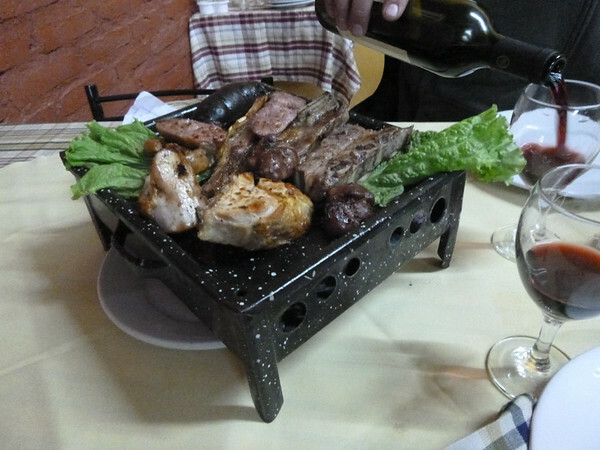 Argentina is well-known for its grilled meat, mainly beef, and signs in restaurants all over town advertised their special prices for parrillada for two. 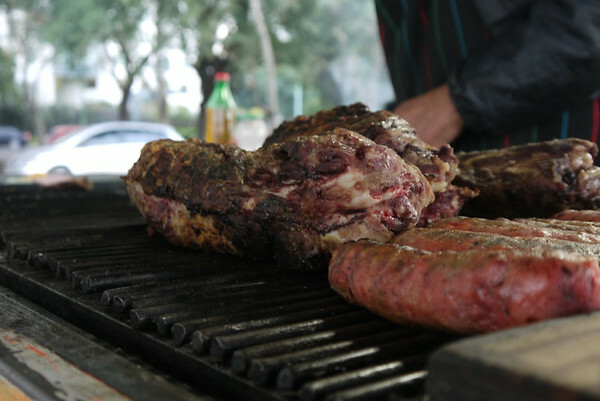 Parrillada, loosely translated, means barbeque or grill. 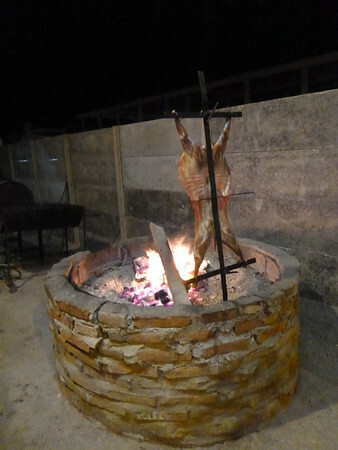 It’s a variety of meats served on a sizzling hot grill kept warm by embers. We splurged and also got a bottle of wine (about $3.50). When our grill arrived, indeed it included beef ribs, blood sausage, chicken, chorizo, beef kidney, and something that we suspect was pancreas (although we still aren’t totally sure about that one). It was pretty darn tasty though, those sweetbreads and offal innards. That is lamb in the back ground. 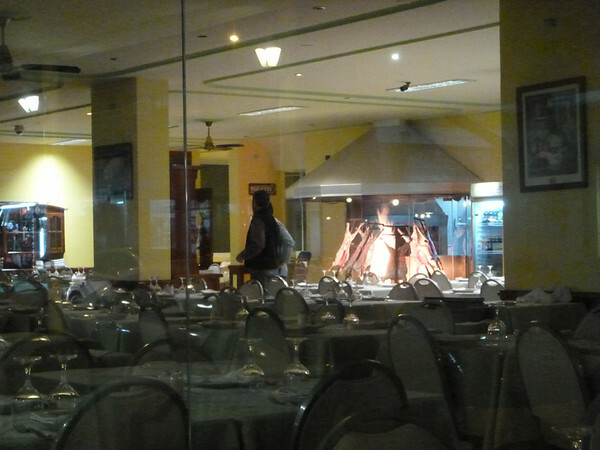 There were many upscale restaurants similar to this. Or a more simple version of “chivito”. Alfajores are a confectionery that very loosely resemble a “Wagon Wheel” back home but filled with dulce de leche and/or other tasty things and coated with real chocolate. The capper of the evening was the bath. The tub was so deep that sitting inside of it only allowed my head to peak over the edge. It was square, lined with tile, and felt very Roman. The water that spouted out of the tap was hot and fast, and made me feel all tingly and very relaxed. Since the faucet was so high up on the wall, I was able to sit underneath the water as it poured out, and let it pound away some of the tension from my neck and shoulders. An hour and a half later, I still didn’t want to get out. Maybe it also had something to do with the wine. At any rate, it was a pretty amazing bath. Believe us. This was a treat. No need for fancy jets or bubbles. When the next morning came, I was tempted to try to convince Adam to stay another day, but unfortunately that ‘working-on-someone-else’s-schedule’ thing was getting in the way. It was sad to say goodbye to Hotel Candela and their amazing staff and bathtub and heater and comfortable and clean surroundings, but we packed up and headed out for a seven hour ride along a very straight, flat, and windy road through the middle of Argentina. Much of the scenery resembled Ontario in early November (bare trees, somewhat brown, and damp), then changed to desert scrubland, before starting to grow greener. We stopped for lunch at a gas station where they had a buffet that was priced by weight, complete with table service. Adam picked out an array of salads and pastas including ravioli, and some sort of creamy crepe thing which is the Argentine version of cannelloni. 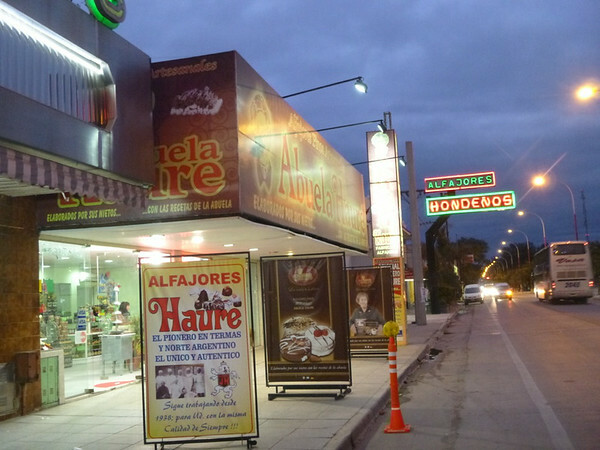 In his words – Argentine gas station food is way better than most food served at a company picnic. I had to agree. At the gas stations back home you get a hot dog or chips, or if you are lucky, a travel center with McDonalds and the like. Cannelloni, ravioli, salads. Mmmm. As we got closer to Cordoba, our destination for the day, the landscape grew greener and the sun came out (yay!). 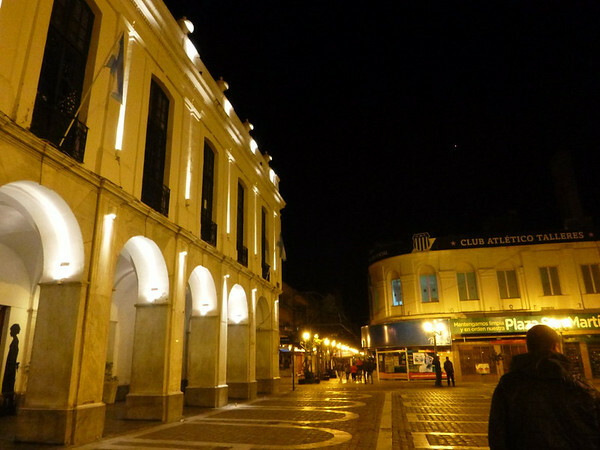 Cordoba is the second largest city in Argentina, and pretty nice, as well. Our hostel (Tango International Hostel) was located close to the main square, and in an area with lots of bars and restaurants. There was a bit of confusion about getting the bikes inside (some staff were ok with it, some were not), and eventually we got the doors open and the bikes parked inside. It was clearly a garage with sloped sidewalk and doors wide enough to get a car inside, but, as we were informed the next morning, the area was usually filled to the brim with luggage as a storage space for backpackers who had checked out but needed to store their bags until it was time to leave. Despite the fact that this area was ‘normally full’ there were only a few bags inside, so I wasn’t really sure what the problem was. Except for maybe a poor attitude, on the behalf of some. Our room was located behind reception, right next to a bathroom. It was very loud. And since quiet hours didn’t start until 1 a.m. we were in for a long night of loud music, and louder conversation. There also seemed to be a high concentration of people congregated in hallways making it somewhat difficult to move around the space. Since we weren’t in the room for too long – arrived at night, unpacked, then went out for food, then bed – it wasn’t terrible, but more of an annoyance. Tango turned out to be a party hostel, while lacking in beer pong, it wasn’t quite what we expected. And with a policy of “no outside drinks please – we sell drinks for cheap”, it is surprising to see what people are willing to pay for booze to keep the party going. At USD$5 for a glass of wine or mixed drink, sorry Tango, is a complete rip off as you can buy a very drinkable bottle of wine in Argentina for under USD$3, or a bottle of whiskey or the popular Fernet for about the same. 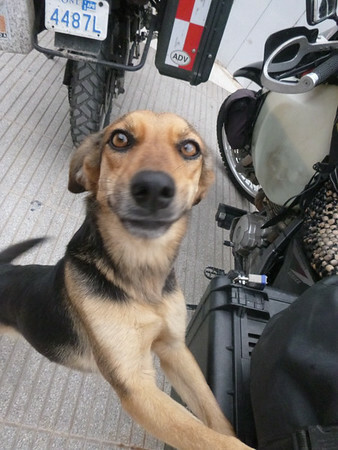 One thing that we will also note here in the event that other motorcycle travellers are reading this is that we spoke with one of the staff directly about the hesitance to let us park our bikes here. 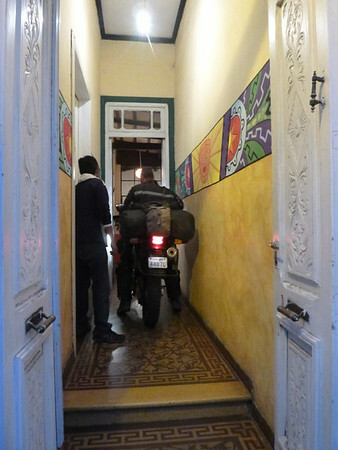 We chose to stay at Tango since other motorcyclists had spoken positively of it, and that it was “motorcycle friendly”. 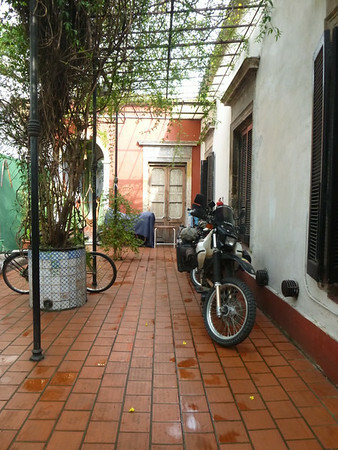 We explained this to a staff member who describe the hostel as “everyone who works here is a manager”, and she was a little surprised to hear that motorcycle forums note Tango as having parking. She made it a point that “they welcome motorcyclists”, but that they would prefer it if the motorcycles were park several blocks away at an affordable, secure parking spot. We have since updated our forum sources that led us to Tango. Basically, if you are “stuck”, it is better than nothing, but otherwise they are a loud “party hostel” with nearby parking. 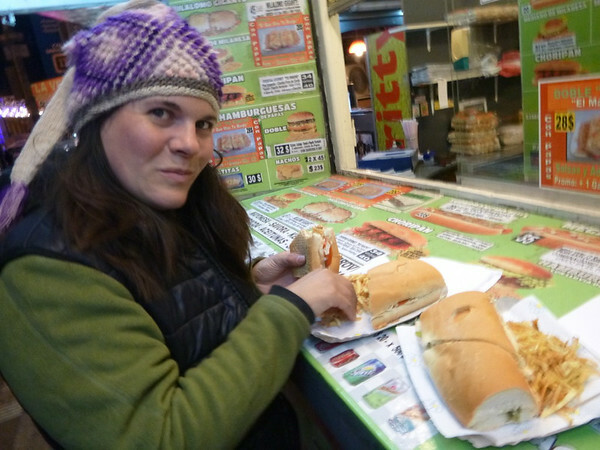 Jenn “enjoying” a substandard Choripan. Cordoba was also quite nice, but very large, and a little difficult to get around. Thankfully we had a map and managed to find our way around to see a few squares and some impressive churches. 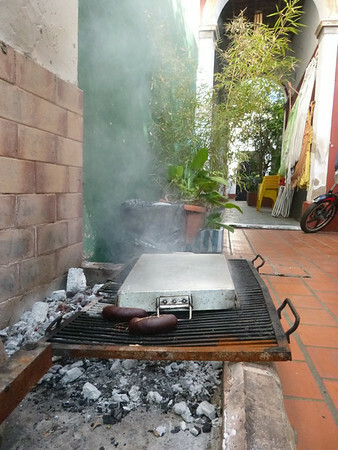 We sampled what could the city’s main food craze: choripan. From what I can tell, it is basically a chorizo sausage on a bun. Chorizo in Argentina isn’t like chorizo in Mexico, but more like sausage in Colombia. It’s not spicy, but rather fatty and greasy. We had a “loaded” choripan that came with a variety of sauces, and served alonside ‘lluvias de papas’ (a rain of potatoes) – strips of potato chips – like Hickory Sticks (without smoke flavour) back home. It was a little disappointing, but then we did get them from a fast food stand that was part of a video store. I can imagine it would have been quite tasty had it been made with higher quality sausage with better sauces, but no such luck at this food stall. 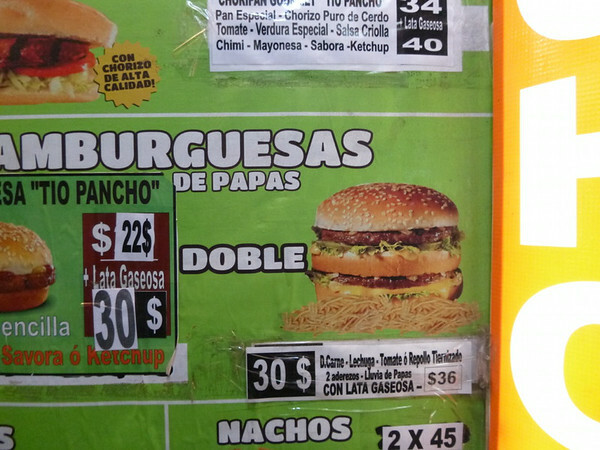 Of note, in accordance with the rampant Latin America plagiarism, the photo of their double burger looked strikingly like McDonald’ Big Mac, and the other like a Burger King cheeseburger. We thought we might order one just to see the difference, but then realized that we would have to eat it if we ordered it, and decided to pass. We truly wonder what this burger would look like had we ordered it. Hands down, Argentina has the best pastries out of all the places we have traveled (sorry Colombia, you are not longer king). In Salta we had some dulce de leche horns – light flaky pastry filled with dulce de leche and drizzled with white and dark chocolate in a sticky glaze. In Termas de Rio Hondo we had alfajores – dulce de leche sandwiched in between two soft crumbly cookies and dipped in dark chocolate. In Cordoba, we had more dulce de leche horns. None has fallen short. The next morning we were off again, continuing south on our road to Buenos Aires. We have become quite the late risers, and are having a bit of trouble adjusting to the time change, even if only an hour. It was only an hour forward from Bolivia, but we found that we were sleeping in more. Many of the rooms were very dark in the morning and we had no concept of time, often finding that it was close to ten by the time we were waking up. It made for some very late starts in the morning. The road looked very much like highway 404 in Ontario or the route into Peterborough along highway 35. Even the landscape along continued to look like Ontario in late fall or parts of the USA – flat with lots of farmland. It felt closer to home than any other point of the trip. There was a serious lack of roadside stops, and gas stations, bathrooms, and food options were still scarce despite being in a country that looked so much like the highways that were were used to. 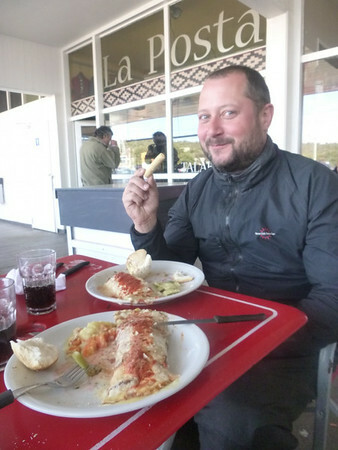 We stopped for lunch in a small town off the highway called Marcos Juarez where we found a diner attached to a gas station where we ordered ravioli. It was served with a large piece of stewed beef in a tomato sauce, then doused in cream sauce and served over the pasta. We also had cappuccinos. The game between Argentina and Iran was on the televisions, and we could have heard a pin drop. It also explained why there was no traffic on the road, since everyone was at their nearest TV. In contrast, when Argentina scored the game-winning goal, you couldn’t have heard a bomb go off, for the celebrating. Rosario was also a beautiful city with many tree-line streets. We had a few problems finding a place to stay and after circling city blocks over and over again and not finding an affordable place, a place with parking, or places that just didn’t happen to be there, we decided to go for a hostel with a parking lot down the street. We had GPS co-ordinates for a place that was referenced on Horizons Unlimited but this place was out of business, and we updated the source accordingly. At AR150 per person, it was our cheapest option (about $15 per person, with the exchange). However, when Adam went to check out prices for the parking lot, they were charging $15 per bike for the night, making the entire night’s stay close to $60. No longer affordable – and not at all convenient – and not particularly secure, so we were off to find somewhere else, in the dark. 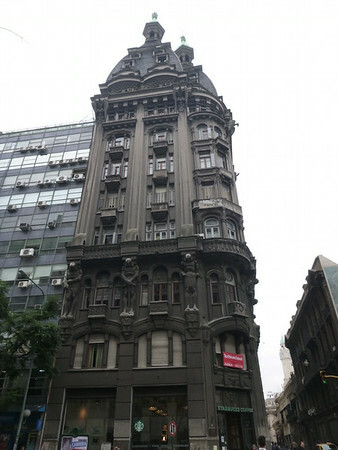 We headed off in an entirely new direction of the city, and after a few more places that just didn’t seem to be there, we ended up outside of Hotel Viena. It looked pretty fancy but we gave it a try. Luckily, it was within our budget, had (very secure) parking, and was cheaper than the hostel that we were just at (about AR 420 – $42) and included a decent breakfast. The room was a little rough in places, but it was warm (about 26 degrees in the lobby! which was funny because it was still in the high teens outside), clean, and easy. They had an elevator so we didn’t have to lug our bags around, and very hot water in the shower. There was also a window and a ceiling fan which came in handy to cool the room down. 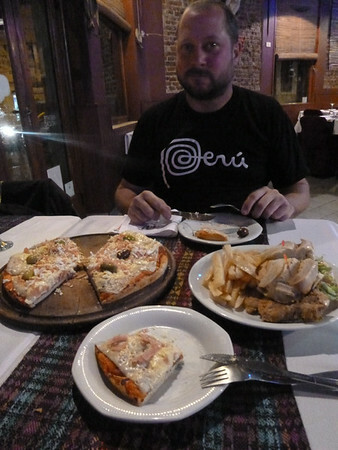 Silly gringo (accidentally) wears his Peru t-shirt to a Peruvian fusion restaurant. 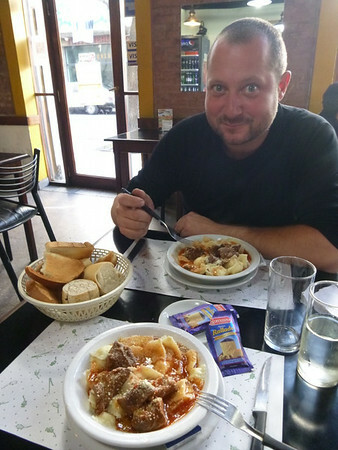 And then orders not typical Argentine food. We had dinner at a Peruvian restaurant on the corner, which was quite fancy looking. It was very clean, with wine glasses on the tables, tablecloths, and nice atmosphere. This was quite a difference from eating in Bolivia where you seemingly eat for sustenance, whereas Argentina was much more of an eating-for-enjoyment environment. We ordered a pizza and a milanesa sandwich, thinking that the pizza would be a single serving, as per our experience. When it arrived, however, it was big enough for two, and we had ended up with a large amount of food. We couldn’t eat it all, for the first time in a long time. In the morning, we woke to find a puddle of gas under my bike. 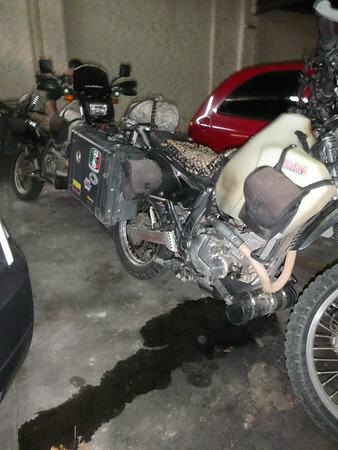 As mentioned a few posts back, Adam had an issue in Bolivia amidst striking workers where some clear plastic fuel hose began spraying gas out of the side of his bike. While we are not sure of the brand, it was supposed to be of high quality. Similarly to our carburetor o-rings, we have been “watching” this issue since it seems that degrading parts have been failing within days or weeks of each other. Luckily the hotel manager wasn’t upset by our puddle of gas and noted that his garage had good ventilation. 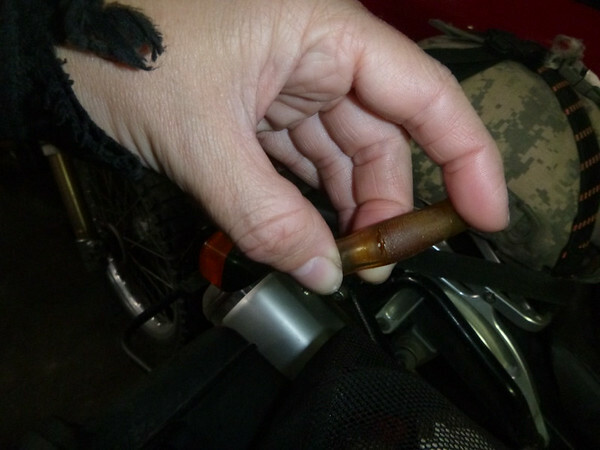 We promptly removed all of the clear fuel line and replaced it with some that we had picked up in Bolivia. We woke to find a gas leak under Jenn’s bike. This fuel line was supposed to be high quality. Not sure what happened here, but we replaced the remaining sections on the spot. The last 300 kilometers to Buenos Aires, was exciting and emotional. It was hard to believe that we were so close to our final South American destination. The road started to get more congested with traffic and peajes (toll booths) became more frequent. A special note about the drivers here – Adam had warned me about the Porteños (people in and around Buenos Aires) and their interesting style of driving. Mainly, the highway had a posted speed limit of 130 kilometers per hour, but they seemed to treat it more like what we know about the autobahn in Germany, which is to drive as fast as humanly possible. They were very aggressive and behaved in a “totally pissed” manner off if anyone should get in their way. I came to believe that many cars just didn’t come equipped with brakes. On the other hand the truck drivers (big rigs, or ‘semis’) were quite polite. They were limited to 80 kilometers per hour on the highway, and most of them seemed to be observing the limit. They drove in the slow lane and were categorically the best truck drivers we had seen the entire trip (the worst being in the USA and Colombia). During our whole time in Argentina, we had zero incidents with truck drivers doing stupid things. The traffic and bad driving only got worse as we entered the city center, but we kept to the right hand lane, and made it to the hostel without incident, despite the lines in the road being mere suggestions of where one should drive. Kilca Hostel is hostel with some decent reviews from motorcycle travellers with ample parking and a generally relaxed environment (and affordable). When we arrived, however, we were told that there were no private rooms available and only dorms. We decided to check out one other that reportedly had parking but it turned out not to be there any longer. We circled back to Kilca and were greeted by another staff member who then told us that they did not accept walk-ins and we couldn’t stay unless we had a on-line reservation. Since we didn’t have one we figured that we were out of luck. Frustrated and stranded in an (relatively) expensive city, we started aimlessly driving. Adam suggested that we find some internet and and do something more targeted than just “riding around”. We eventually found a Starbucks with a place to stop the bikes outside and we went inside to use their internet. And grab a cappuccino and a snack. Funnily enough it was pretty easy to make an online reservation for Kilca, for a double none-the-less, and we received a confirmation code almost immediately. So it was back to Kilca. This time we were allowed in, but it turned out that the double room was occupied – whoops. We were ready to set up our tent (already having received permission from Gido, the manager over the phone) in their courtyard (despite dorms being available) until a private room became available. In the end the room which was to become our home for the next week or so became available. We moved into the room with two beds on the ground floor and two in a loft (storage!). The room also had that ‘stranger’ smell that I have come to know, that kind of smell that says that many people have slept and breathed all over the room. This is not really what I envisioned for our last accommodation stop in South America, but I suppose we all can’t stay at the Hilton. This was especially the case since we were soon to find out that we would be staying in Buenos Aires for up to two weeks. Ample parking a Hostel Kilca. Adam later had a chat with Gido, the manager, and we was a little surprised to hear about this incident as he welcomes bikers. He chocked this up to a misunderstanding with his staff, and in fact, had been in touch with Grant Johnson at Horizons Unlimited attempt to drum up some business as a “moto friendly” establishment in one of South Americas main hubs for motorcyclists. On Monday, we met with Sandra and Javier, the owners of Dakar Motors, a famous stop for motorcycle travellers. 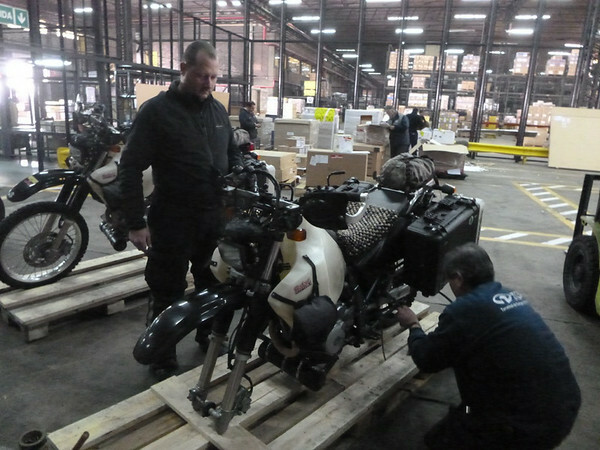 Dakar Motors is well know to be able to arrange shipping of motorcycles to anywhere pretty much anywhere that you want to go. They also offer a few bunks for road weary travellers. We had employed their services to help us get our bikes from B.A. to Miami. The shop is located in Florida, a suburb of B.A., and about 30 minutes outside of downtown. Sandra and Javier were very friendly and welcoming, and seemed to know their stuff. Sandra had the paperwork all ready for us to fill out, and gave us very clear instructions on where to drop the bikes off and how to prep them for shipping. It was a trip down memory lane for Adam who had stayed there almost 4 years ago to the day. It turned out that the soonest the bikes could fly would be Monday, one week away. After business was taken care of, and Javier and Adam finished calling each other old, we sat down for some coffee and to look at their guestbooks, that had been signed by many travellers over the years. It seems that just about everyone in the motorcycle circle know Ken and Carol-Ann Duval! We talked for a few hours and then we headed back to the city. We seemed to be doing a lot of riding at night, and arrived back at the hostel in the dark. But, it seemed as though rush hour actually chilled the drivers out a bit, and it felt far less suicidal heading back. About $5 including the wine. The restaurant where we wanted to eat was closed. 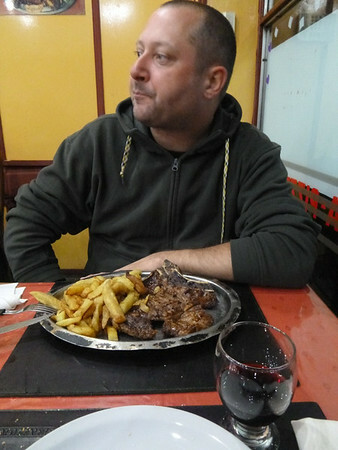 Having eaten there the night before and had steak, fries, and chorizo. While the chorizo was a bit greasy, but the steak and fries were great. 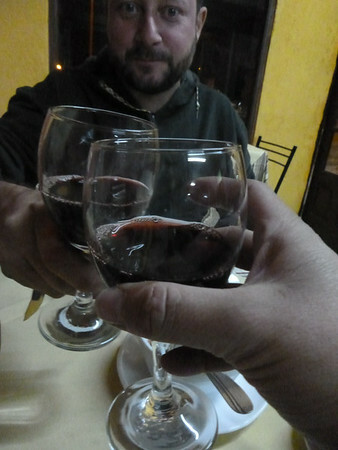 We also had a 1/2 litre of red wine for $1.50. It was good value (USD$5 for the steak and fries), and we decided to eat there again. The food is pretty amazing in Argentina, and I suspect that we will gain back all of the weight that we lost over the past eight months, by being here for two weeks. Ravioli and pasta is abound, as are cream sauces, red meat, wine, and desserts. It’s a foodie’s paradise and a dieter’s nightmare. I just like to eat, so it’s pretty good. There is a strip with lots of these places – probably popular with taxi drivers as they are 24×7. Exchanging money has been a bit of adventure. The Argentinian peso has seen quite a bit of action in recent times, somewhat of a roller coaster. The current exchange rate is somewhere around 8 to 1 (US), but there is also “blue dollars” which can be had at most money exchangers and will give a better rate, usually somewhere between 11 – 12 to 1. 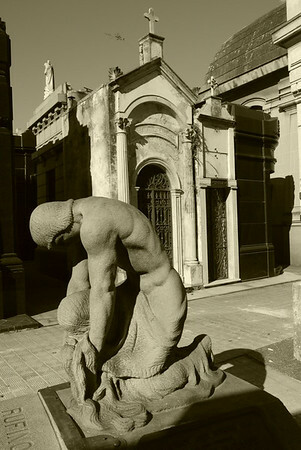 It makes one’s stay in Argentina a little bit more affordable. We have exchanged money in almost all the cities that we have stayed in – opting to change as needed, since any left overs will become souvenirs, since most exchangers outside of the country won’t touch the stuff. 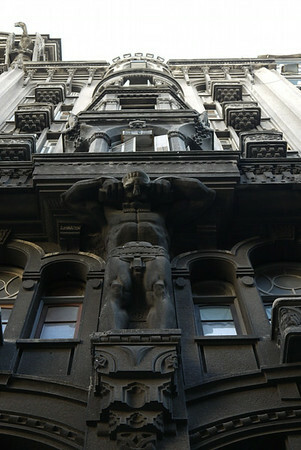 Attractive building, and it happens to be a Starbucks. In Tilcara, Adam exchanged money at a native craft store, where the owner examined each bill one by one using a blacklight. At Termas de Rio Hondo the only place that we could find to change money was at the casino. These people wouldn’t take anything but the most pristine bills, so we had to sort them weeding out any with folds, tears, writing, or the tiniest of stamps In Córdoba, Adam went into a money exchanger who “fished” with a rope through the floor US dollars. Essentially, the envelope of dollars was sent down on the rope, and after a few minutes, an envelope of pesos would emerge. 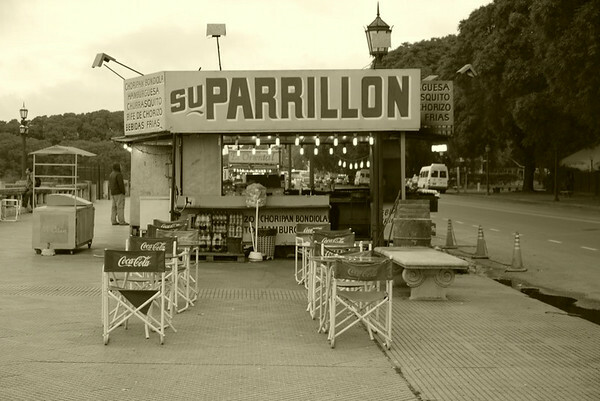 It seemed very “shady” for something that we would later learn to be very common, and freely available, in downtown Buenos Aires. If it is not beef, it is probably either pasta, or both. Or pizza. Our local bakery. Sooooo much tasty stuff! 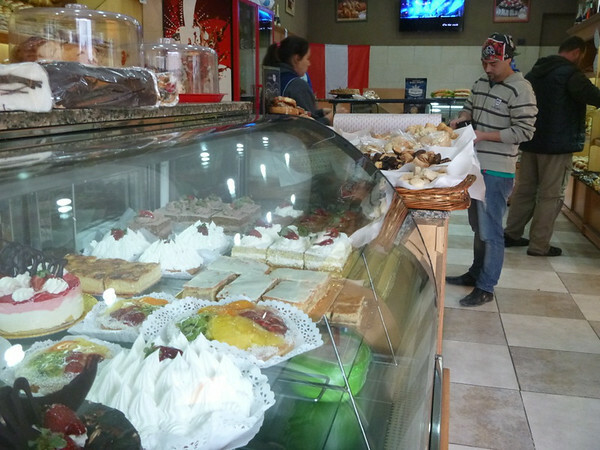 Our time spent in Argentina was mostly spent eating their amazing food and pastries. Argentinians know pasta, cream sauces, cheese, and meat. They also do a dulce de leche pastry like no one else. 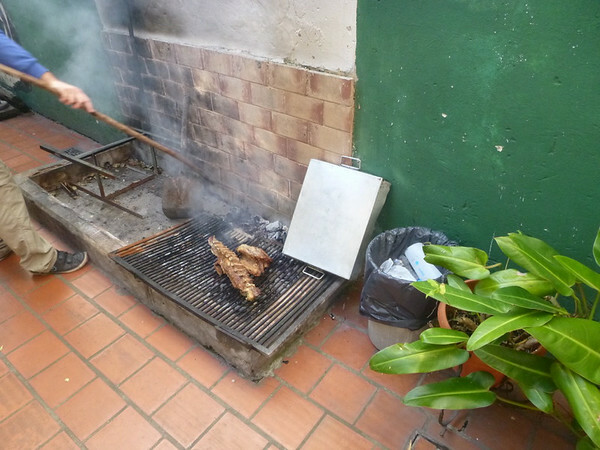 We had been treated to asado, a few days prior which was prepared by Gido and was quite possibly some of the best meat we had eaten, accompanied by a green salad, and lots of red wine. I think we both gained back any weight that we may have lost over the past eight months, by being in Buenos Aires for two weeks. Our hostel was somewhat like being in the Twilight Zone. It had a strange (in a good way), comfortable, little vibe, with a small cast of odd characters who didn’t seem to have much in common but meshed together very well. World Cup soccer was on the television 24-7, no matter who was playing. 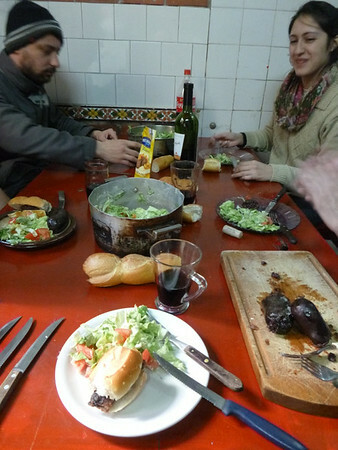 Enjoying our asado lunch prepared by Gido of Kilca Hostel. Our cast included a variety of volunteers who worked at the hostel (and stayed for free) – Nestor, “Spike”, and “The French Girl” (Julie), our host Gido, and a handful of guests: Pascal (Austrialian-Swiss who had escaped Sydney to watch the World Cup), Tio Charlie and his son Karel (Bolivians in town to pickup a new prosthetic leg for his father), and a few other rotating characters. Our time at the hostel was spent gathered around the television watching futbol, drinking beer and wine, and eating more great food. It was a very comfortable and laid-back environment with guests staying weeks and weeks (if not months). It was a little sad when it came time for us to leave such a genuine, fun-loving, and open group of people. It was very interesting to be amongst a group who got along well despite coming from such different backgrounds, and reason for being there: medical, futbol, backpacking, working to pay for university, (and us). Looks like a church but it is a personal shrine. My head cold came back in full force with an added bonus of chest congestion that I tried to ignore in order to see some of the city. It mostly worked, but at times, not so much. 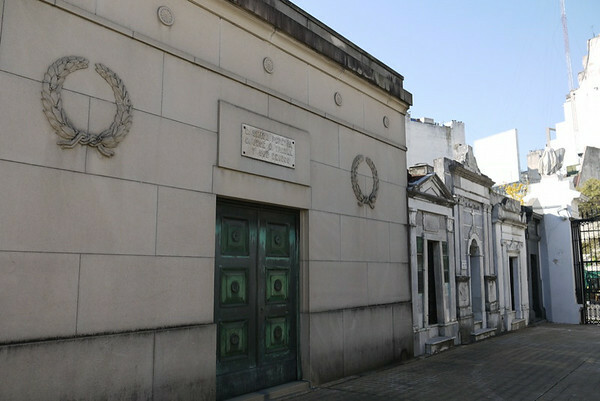 We did go to see the Cemeterio de la Recoleta, a famous cemetery where Argentina’s rich and famous lay in death. 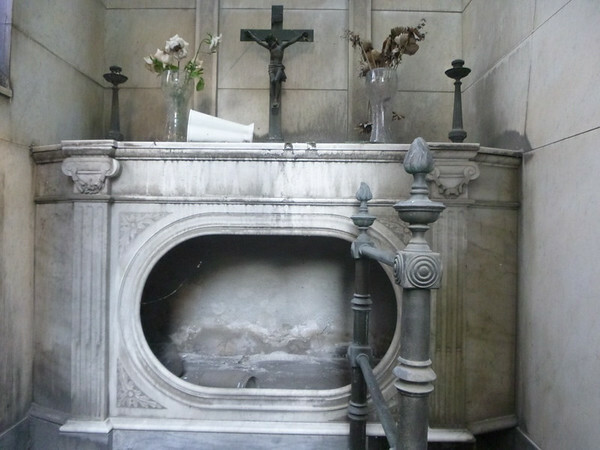 It is also the burial site of Eva ‘Evita’ Perón. 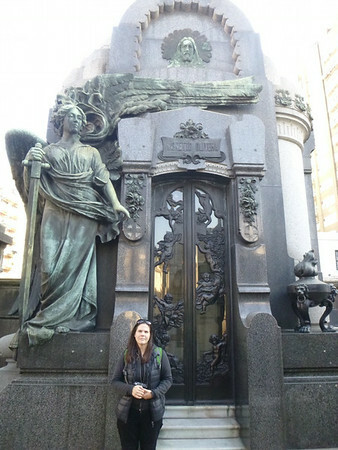 The cemetery was a fascinating place made up of above ground tombs, with many being bigger than a small bachelor pad. 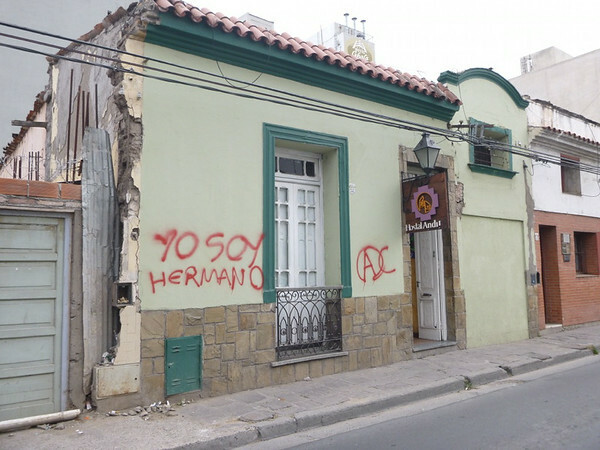 I was a little taken aback to see many in disrepair with broken glass in the doors, and interiors that had been vandalized or caved in by neglect. 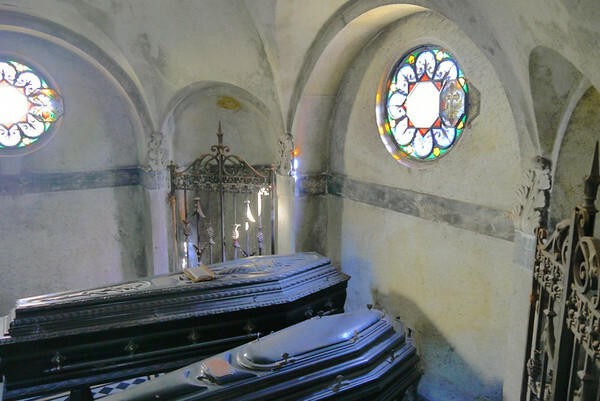 In some instances, coffins were broken open and the smell of human decay was overwhelming. No, we didn’t see any bodies, but we sure could smell them. The world morns the loss of me. Some people settle for a little box in the ground. Massive. We have seen many dwellings housing more living people with less space. 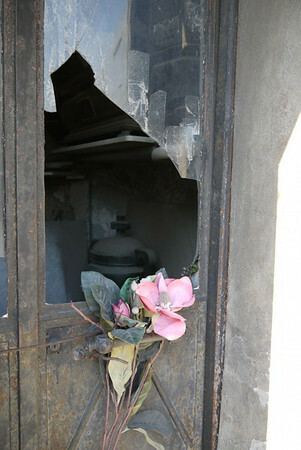 At first the experience of the place was awe at its beauty, then a kind of morbid humour in the garishness of it all. There was a certain pompous indulgence to the whole thing. Despite the obvious spectacle of it all, it was somewhat confusing as to why a dead person would need such a monument to their lives. 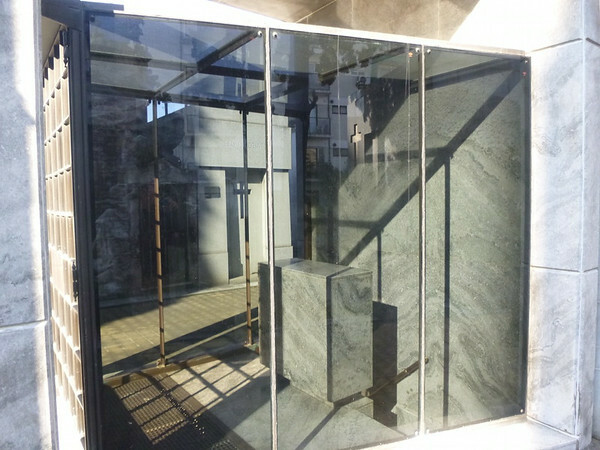 In any cemetery, the grave site is really meant for the living to commemorate their deceased loved ones, so unless the family or friends are still visiting (which many were not, judging by the layers of visible dust), it becomes somewhat of a space waster. In any case, it was fascinating and a really great place to visit. 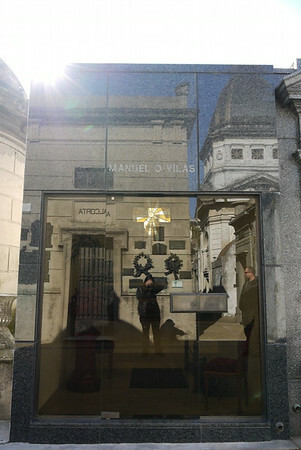 I was pleasantly surprised to see that Evita’s tomb was very minimalistic and subdued. 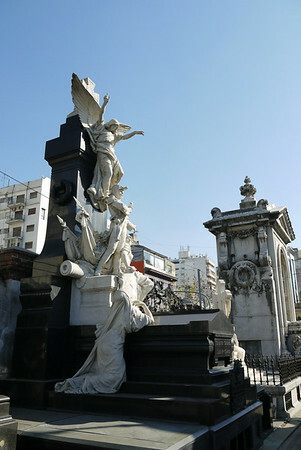 It was very difficult to find as it lacked any statues, angels, weeping cherubs, ornate wreaths, high crosses, and ornate statues of the deceased. 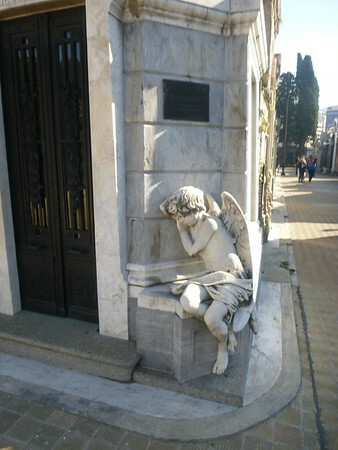 And even the angels mourn my final demise. I also want to be “buried” in my office. Yes. Those are urns with their contents spilled out. I guess the family haven’t come to visit in a while. While we had planned to bring our bikes to the airport on June 27th (a Friday), a possible customs strike moved this date back to June 30th (a Monday). The process was mostly simple and straight forward with Sandra at Dakar Motos preparing a well documented step-by-step handout. As expected, there was a good amount of running around, including making multiple trips to the money changer to change the dollars we withdrew in Bolivia. Due to the use of the “dolar blue” system, as well as having slightly smaller bikes (Suzuki DR650 versus Kawasaki KLR650), and removing our front wheels, the over all cost was only fractionally more expensive that when Adam sent his bike in 2010 – but for two bikes! If my memory serves me, I spent USD$1,900 in 2010 to ship the KLR back (but to Toronto, not Miami). This time it was roughly ARG$25,000. If we were receiving 10:1 for peso to dollars this would have been reasonable, but we were getting more like 11.5:1 which was even better. It is hard to calculate this accurately as the Canadian to US rates have no doubt fluctuated since 2010, and we took ATM exchanged rates in Sucre, Bolivia. The trip to the airport was straight forward, and mostly organized, and putting our bikes on their sides to remove the front wheels was much easier than expected. The whole process at the airport took less than three hours. I had guestimated that it would take an hour per bike. 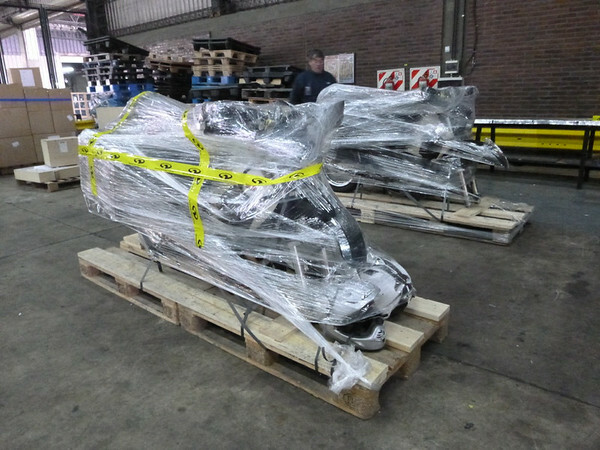 That it was, plus time to wrap the bikes in plastic. Because we are using clear tanks, we were asked to removed all of the fuel, rather than leave a couple of liters, which is common. So, exiting Argentina was easy. We wish we could say the same about entering the US, but that is a story for a different day. In a few days it will feel like Christmas.